Presented by CH2M and awarded silver medal for best beer festival from the Willamette Week, Oregon Beer Awards, the Hood River Hops Fest is an annual celebration of beer’s bitter friend, freshly harvested hops. 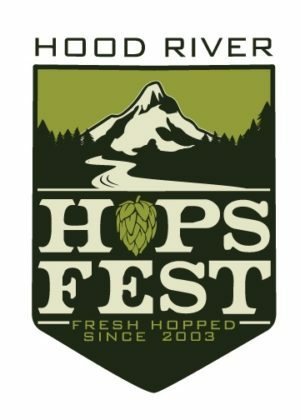 Hood River County is surrounded by world-renowned hop growing regions, and since 2003 brewers have gathered each September in downtown Hood River to share their fresh-hop beer creations. The family friendly event features a variety of food vendors, over 50 breweries with over 75 fresh hop beers, rocking live music, and an awesome collectable mug. Mark your calendars this is a festival not to be missed! Presented by Hampton Inn & Suites, this year’s headline act is the Seattle funk band Polyrhythmics – a high-energy eight-piece group featuring the trumpet, sax, trombone, flute, drums, bass, keys and vocals. Other live entertainment at the 2016 Hops Fest include Tony Smiley, Will West & The Friendly Strangers, and the Verner Pantons.